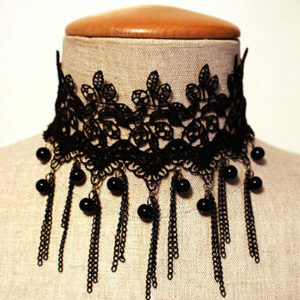 View cart “Black Lace Choker With Falling Chains” has been added to your cart. 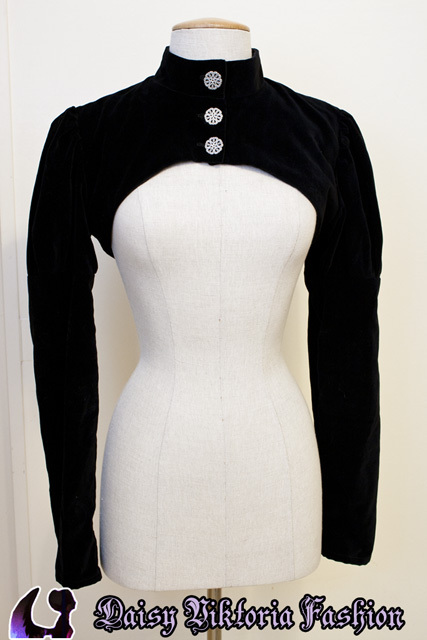 This lovely shrug jacket is made of cotton velveteen with buttons in your choice of gold or silver. 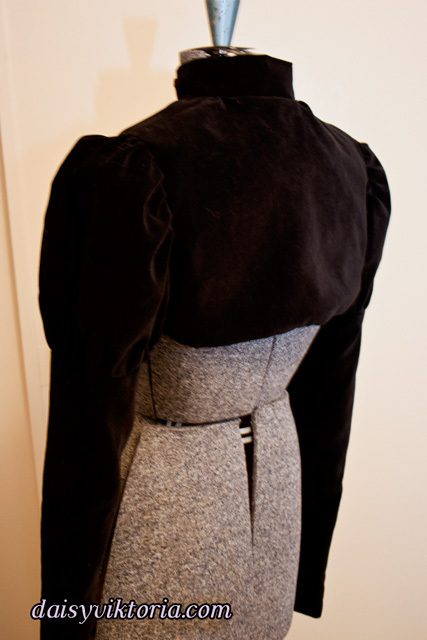 The body of the jacket is lined, and the sleeves are unlined. 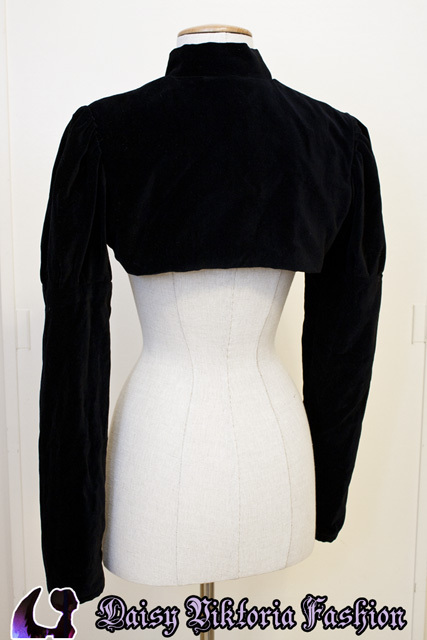 Sizing for this jacket is based on your overbust measurement. 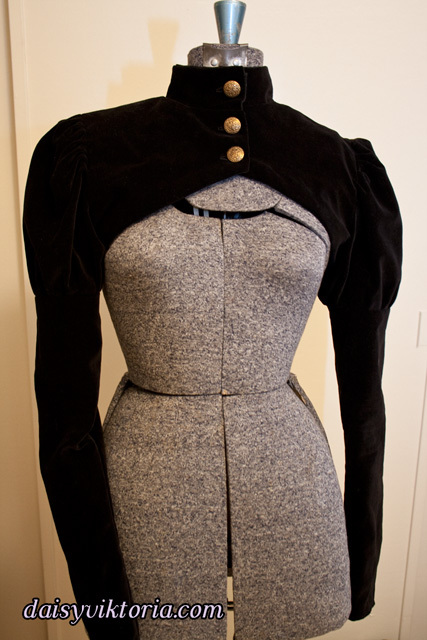 This is measured around your torso just above your bust (roughly the bottom edge of the jacket in the images). 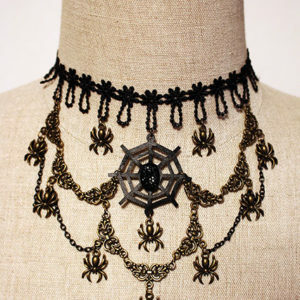 All sizes will be made to order. Please allow 1-2 weeks for production. 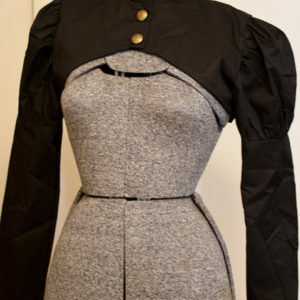 Exact buttons may vary based on availability.